Could GM Be Planning Something Similar To BMW’s Latest Active Hybrid e-Bike? There is a solid amount of evidence that General Motors is planning on entering the electric bikes game. Specifically, two trademark filings made within the past 12 months – one for Maven Merge and another for Maven – lead us to believe that GM isn’t only cooking up electric bikes, but that it’s also planning on using the product in its Maven car ride sharing mobility service. 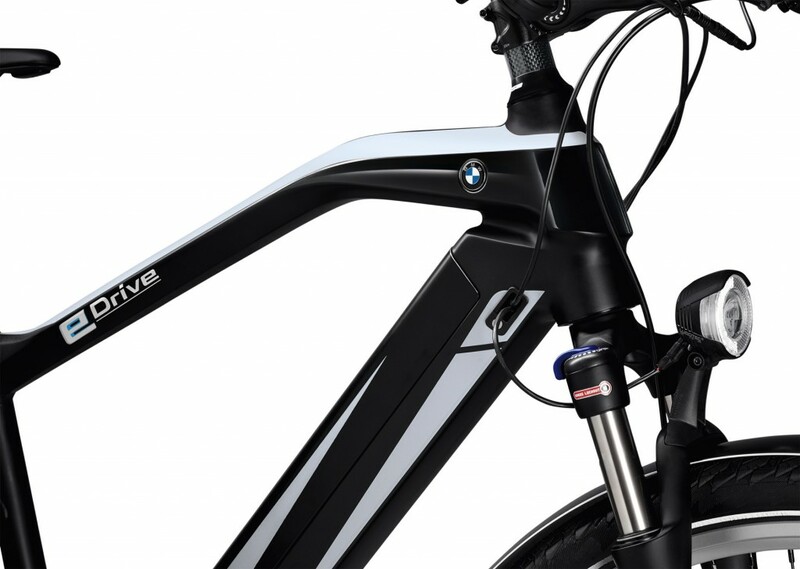 Though we currently aren’t privy to GM’s plans in the e-bike field, we can always look to the competition for clues… BMW, in particular. The Bavarian automaker has introduced several e-bikes, and its most recent addition – the Active Hybrid e-Bike – represents its most impressive offering yet. The bike gives the rider the ability to adjust the degree of pedal assistance using a display. Four different power modes are available, ranging from ECO (+50%) to TURBO (+275%), up to a maximum 25 km/h (16 mph) and a 100 km (62 mile) pedal assist range. The goal is to make tough sections (like hills) easier for the rider to tackle. BMW’s offering also features several creature comforts, including a front-mounted headlight and rear-mounted LED indicator to provide illumination for riding at night. A microUSB port and Bluetooth connectivity enable the rider’s smartphone to integrate with the bike. The specially-made seat, meanwhile, provides custom gel padding for optimal rider support. The asking price is €3,400, which translates to roughly $4,000 USD. Though BMW did beat GM to the punch in bringing a production-level e-bike to market, The General isn’t a newb in the field. 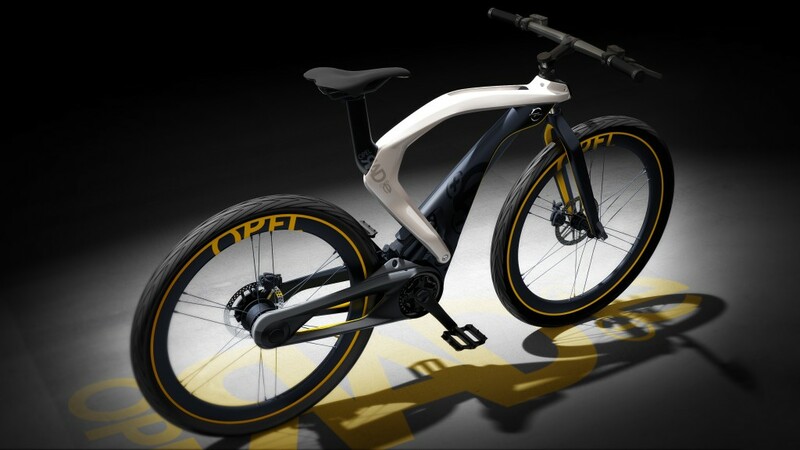 It’s (recently-sold) Opel division has toyed with e-bikes in the past, including the RAD e and RAK e bike concepts. As it currently stands, e-Bikes are a niche, and it is not entirely clear whether they will grow into a mainstream product in the coming years. But if GM is, in fact, planning on getting in on the e-bike game and then sharing out these e-bikes via Maven, as the trademark filings appear to suggest, then we could see its bike being similar to what is being offered by BMW’s kit seen here. E-bikes are already mainstream, only 250W is very weak nowadays. In what way are ebikes mainstream? They’re as mainstream as a Tesla model S or X… which is to say not at all. Also Stealth Fighter And Stealth Bomber from Australia – 10,000W of paddock-bashing madness! These are two-wheel vehicles driven by an electric engine. What is discussed in this article is something else, what is better called Pedelec. As mentioned in the article, the electric motor can’t drive the biciycle by itself, it only supports the pedaling by the cyclist, just like in power steering or power brake — you move the steering wheel by your hands and the brake pedal by your feet, but there is some engine behind which reinforces your movements. The 25 km/h limiit mentioned in the article is for such Pedelecs according to, I believe EU-regulations. Then there is the class of eBikes which reach speeds of 45 km/h, but which need — at least in Germany — a liability insurance (or “third party insurance”, as my dictionary tells me) just like those with a combustion engine driving the two-wheel one spur vehicle. And Pedelecs have been sold by at least one million or even two in Germany, much much more than electrically powered automobiles. Electric mobility runs on two wheels, not four or more. My great nephews bicycle that he powered with an old 2 stroke chain saw motor is way cool, noisy and smoky as a two stroke should be, and surprisingly fast. This isn’t the future we’re going backwards, most motorcycle manufactures started out by fitting a small engine to a bicycle. How is this going backwards? A motorcycle and ebike are two completely different things. And motorcycles are morphing into recycles. An ebike (which I bought last year as it’s been great for my fibro and nerve damage) generally augments the pedal power. In parts of EU they outsell cars. What’s backwards is our failing infrastructure., What’s backwards is writing it off with idiotic comments like yours. It’s just one of many evolutions in personal transportation. Backwards my foot. Will it come with a Chevy Bowtie on it? If this is the case then count me in! Nothing special but the name on someone else’s bikes. It would be cool if it was offered as an accessory , like for an off road vehicle ( ZR2 ) ffrom a Chevy or GMC Canyon . They show camping equipment for GM’s small trucks at shows like SEMA , why not a mountain e-bike too . That Opel RAD ebike concept with a GM emblem on it would be awesome .